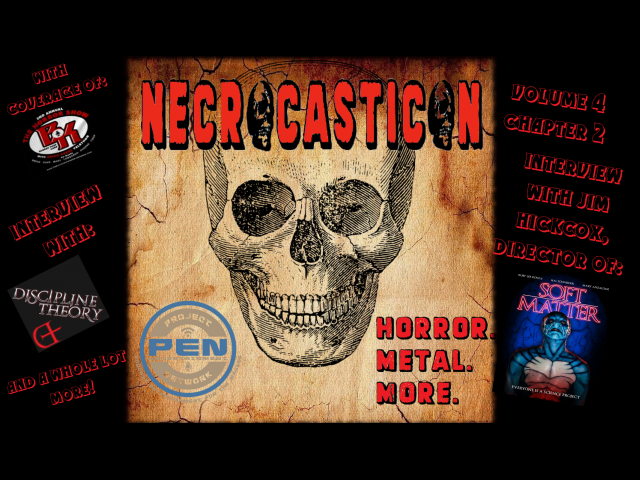 The Necrocasticon goes on the road this week, as Tom and Liz take on the Second Annual Horror Show With Brian Keene charity telethon to benefit Scares That Care. We've got tons of highlights, plus Ed and Jose from Discipline Theory join us to talk about their history. But that's not all. Our Average American Guy, Antonio, joins us to review SOFT MATTER, hitting VOD this week! As a special bonus, Tom got to talk to the film's director, Jim Hickcox. It's a jam packed chapter you don't want to miss!